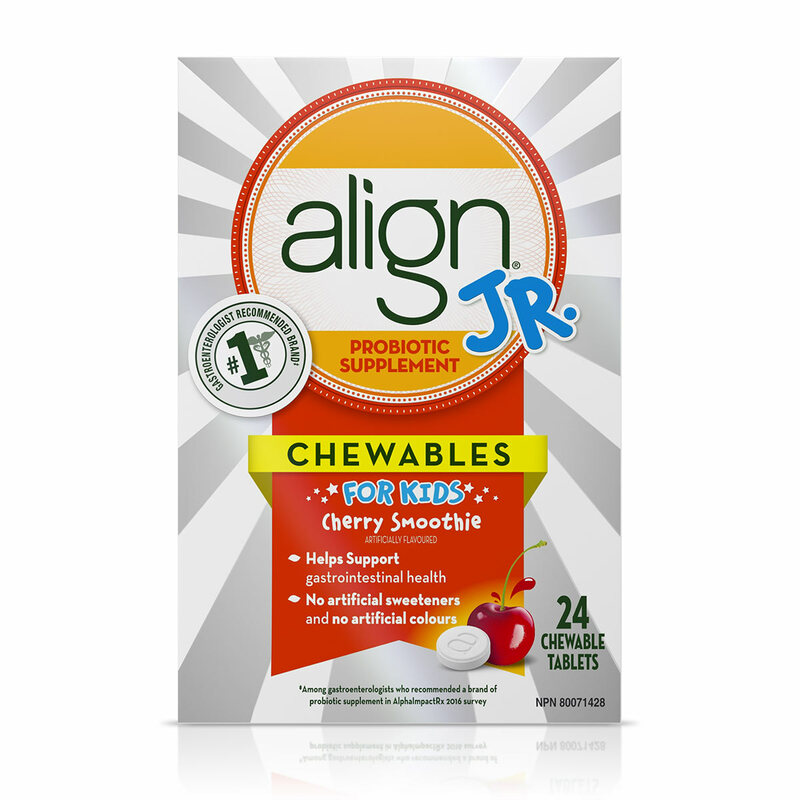 Contains 5x more good bacteria than in Align probiotic supplement. 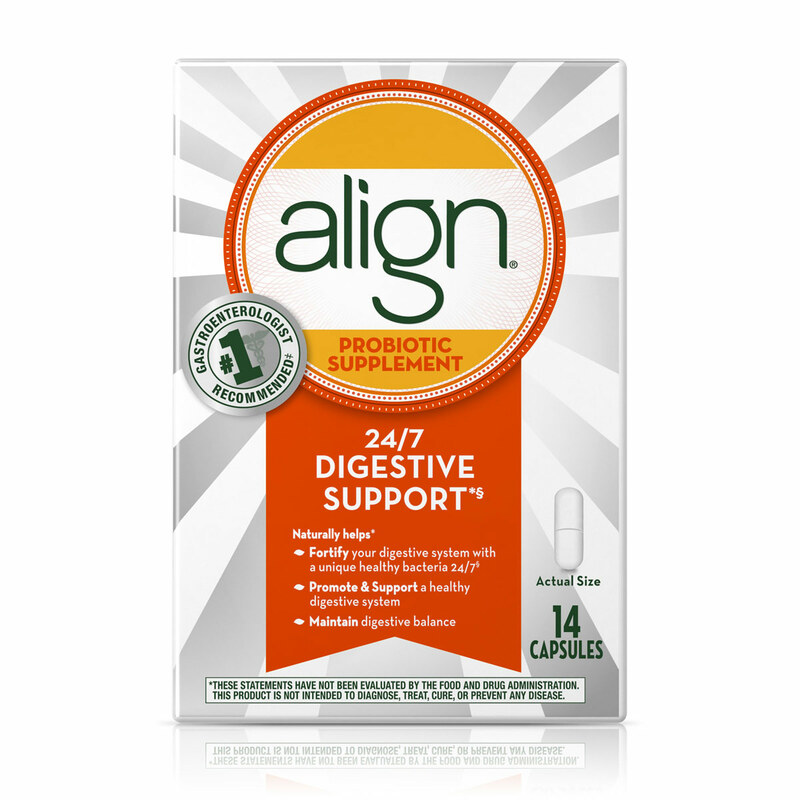 Only Align contains Bifidobacterium 35624™, a unique and patented probiotic strain. Common issues such as travel, stress, diet and changes in routine may disrupt your natural balance of good bacteria. There are several approaches to help maintain a healthy digestive system, which can include changes in diet, exercise, and relaxation. Taking a daily probiotic supplement can also help to maintain a healthy digestive system. While there are many on the market, only Align contains the patented probiotic strain Bifidobacterium 35624™, which supplements your system with natural, “good” bacteria. * Bifidobacterium 35624™ is a unique, patented, pure-strain probiotic bacteria that was developed by gastroenterologists, with over 10 years of scientific research. This natural probiotic strain is a great way to support your wellness journey in a single, easy step. Probiotic strain: Bifantis (Bifidobacterium infantis 35624), contains 5 x 109 (one billion) live bacteria/CFU when manufactured, and provides an effective level of bacteria (5 x 107 CFU) until at least the “best by” date. Other Ingredients: Microcrystalline cellulose, hypromellose, sucrose, magnesium stearate, sodium caseinate, titanium dioxide (color), trisodium citrate dihydrate, propyl gallate (antioxidant preservative), gellan gum. For best results, we recommend to keep capsules in original blister packaging until use. 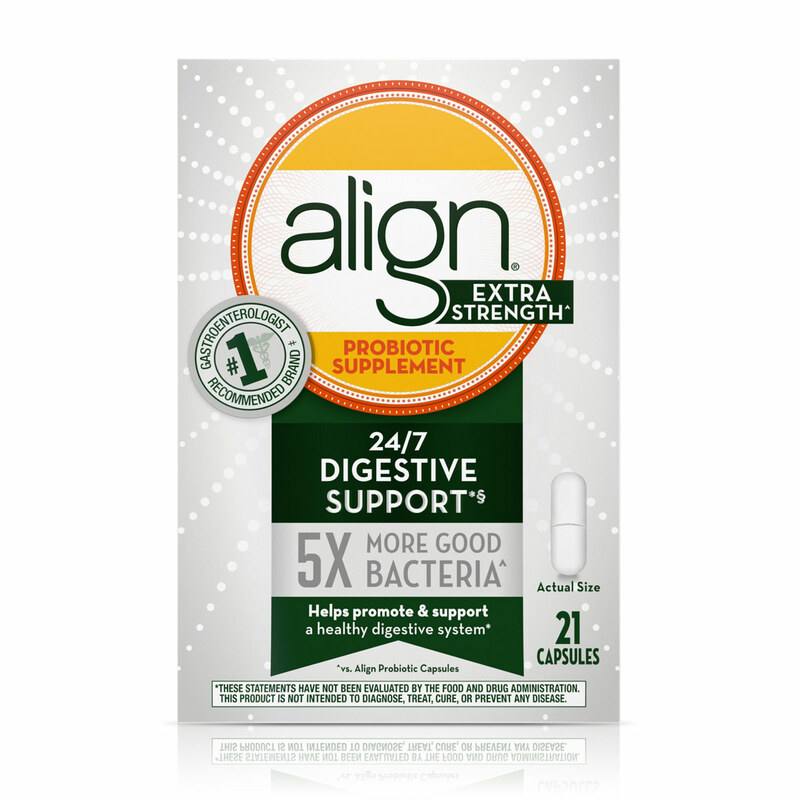 As with other probiotics, in the first few days of taking Align some consumers have reported experiencing some gas and bloating. This may be temporary while your system is adjusting to Align. For more information, take a look at how the Align Companion program can help you when you start taking Align. To assure you are comfortable as you begin taking Align, we offer a Money-Back Guarantee. *** Align will refund the price of the product if you’re not satisfied with your experience. Please note that Align must receive these materials within 60 days of the original purchase date. If you have any additional questions about the Align Money-Back Guarantee, call (800) 337-5036.